Strikes by French air traffic controllers (ATCs) are leading to delays and cancellations across the UK. A five-day strike that started on Monday, March 6, has led to cancellations across several major airlines flying directly to or via French airports. On the first day of the industrial action, more than 400 flights were grounded and tens of thousands of European passengers had their travel plans disrupted, Airlines for Europe (A4E) said. The organisation has further warned that more than 1,000 flights could be cancelled this week, as carriers are asked to slash their services by a quarter (25%). 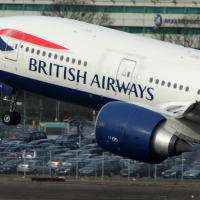 British Airways reportedly cancelled 46 flights on the first day of strikes, predominantly between the UK and France. The airline has said where possible it is using larger aircraft to carry more passengers to their destinations. Low-cost carrier easyJet has cancelled 38 flights, four of which were heading to or from the UK. An easyJet spokeswoman said: "Although this is outside of our control, we would like to apologise to our customers for any inconvenience caused and would like to reassure them we are doing all possible to minimise any disruption as a result of the industrial action." Some 45 flights have been cancelled by Ryanair, which were due to operate to, from or over France. Anyone travelling across the continent should take out European travel insurance for added peace of mind. Ryanair's chief marketing officer Kenny Jacobs is now urging both the French government and the European Commission to take action to prevent further disruptions by a "tiny group of ATC unions going on strike". "They cannot stand idly by and allow another summer of disruption and travel misery for European consumers to take place," he said. And easyJet supported the move, with its spokeswoman adding: "As a member of Airlines for Europe, we are working with other airlines to call on governments and the EU to develop an action plan to minimise the impact of ATC strikes on passengers."